Haringhata, Nadia-741249, West Bengal, India. 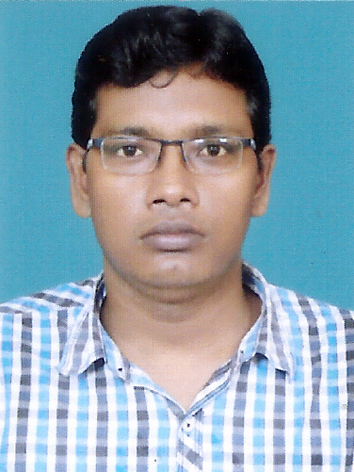 Dr. Soumen Kumar Pati is currently an Associate Professor in the Department of Bioinformatics, Maulana Abul Kalam Azad University of Technology, Nadia, West Bengal. Previously he was a Lecturer in the Department of Information Technology, St. Thomas’ College of Engineering and Technology, 4-Diamond Harbor Road, Kolkata-700023 for the period 2005-2010 and was promoted to the rank of Assistant Professor in 2010. Dr. Soumen K. Pati is attached with the International Association for Engineers (IAENG) for engineers and the scientist, Member Number: 211876. He is attached with the CSTEACHERS.ORG (CST), Member Number: 53357146. Currently he is an Editor of the International Conference of COMPUTATIONAL INTELLIGENCE IN PATTERN RECOGNITION (CIPR 2019), Indian Institute of Engineering Science & Technology, Shibpur, West Bengal, January 2019.